In the U.S., about 120 million people are missing at least one tooth. Losing a tooth could be the result of gum disease, tooth decay, or wear and tear. Whether you’re young or old, sometimes a tooth has to go. If you don’t need a full set of dentures, how do you deal with losing one or two teeth? Cosmetic dentistry might not be necessary to fill the gap left by your missing tooth. However, a removable partial denture could be the perfect fit. Here’s what you need to know about living with partial dentures. If gum disease or tooth decay was the reason you lost a tooth, it’s more critical than ever to keep your teeth clean. This includes your dental partials. Even though the artificial tooth isn’t a “real” tooth, it can show a build-up of tartar and stains. Without regular cleaning, your artificial tooth could show different coloration than your real teeth. 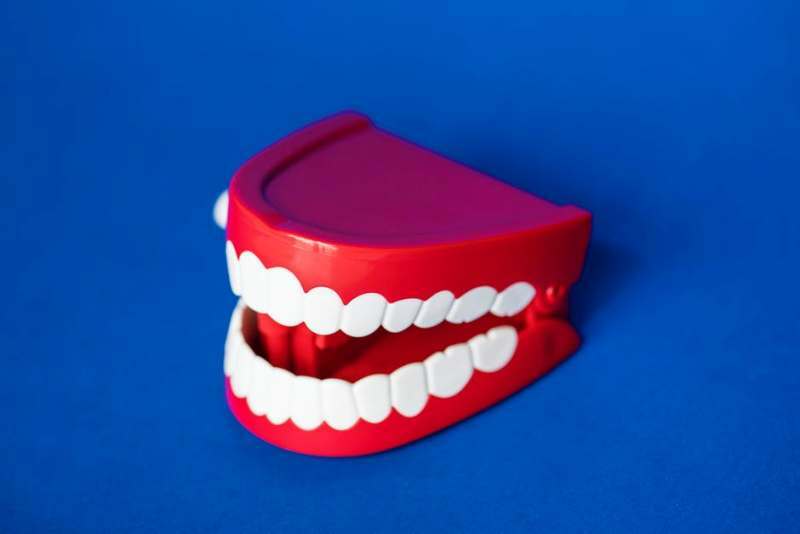 Just like with a real tooth, the plaque on a partial denture can affect your gums. Regularly brush your partial with a mild toothpaste. Did you ever wear braces? Do you remember how it took your mouth a while to get used to how they felt? Expect a learning curve for your mouth to get used to your partial dentures. It will feel like they don’t belong for a while. But, keep wearing them. Your mouth needs time to get past the feeling of discomfort. You’ll soon adjust. Your partial dentures will feel like they were always there before you know it. If any discomfort continues long-term, talk with your dentist. Your dentist will create your partial to custom fit your mouth. However, as you begin wearing the dentures, they might need some adjustment. Don’t be afraid to ask for adjustments if you feel sores or pain from continued wear. It’s critical that your partial dentures fit well to prevent other issues for your teeth, gums, and jaws. While it’s essential to wear your partials regularly to maintain their fit, be sure you give your mouth a break at night. Any sores or pain in your mouth will appreciate the rest overnight. When you brush your teeth at night, remove your dentures to clean them, as well. Leave them in a safe place while you sleep. Be sure to handle your partials with care. While they’re sturdy enough to withstand daily wear inside your mouth, be gentle when removing or inserting the partials. Don’t stress when learning how to cope with partial dentures. They are a great solution to restore a full set of teeth in the event of tooth loss. Don’t let the loss of a tooth ruin your smile! Denture partials are a simple, non-invasive solution to replacing a tooth. If you’re in the Chatanooga, TN area, Shallowford Family Dental Group can help you with partial dentures and preventative, restorative, and cosmetic dental needs. Contact us to schedule an appointment.